A vehicle driven by technology capable of wading, climbing and descending most obstacles in supreme comfort defines the brand. Land Rover, one of the few manufacturers still offering a true body-on-frame SUV, provides several options for those interested in weekend exploring. The brand image has primarily been known for off-road prowess and closely followed by luxury, but is the brand tilting too far toward the secondary? 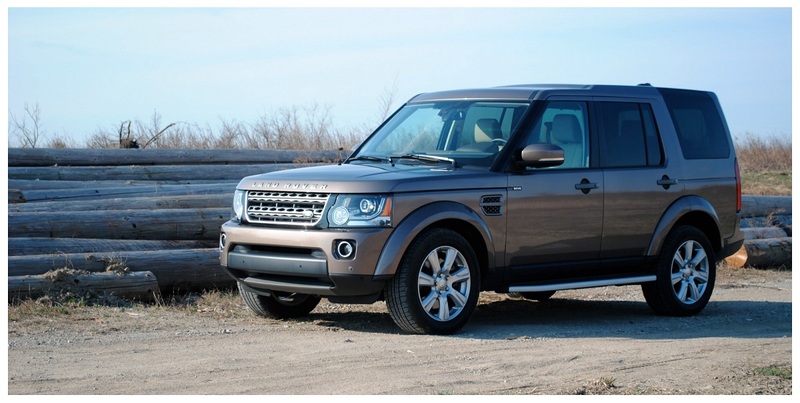 Fortunately, the LR4 HSE has improved upon their past without sacrificing heritage. 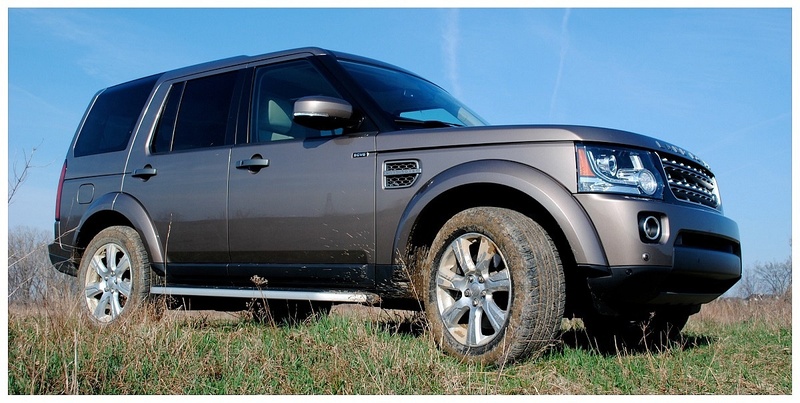 Whether it be class, capability or style, Land Rover aims to separate itself from the core group of competitors. 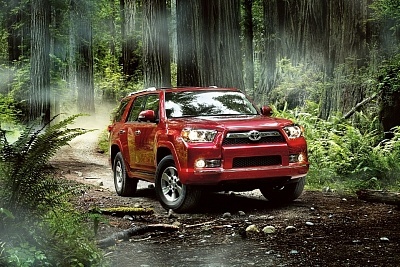 This is a vehicle that delivers a heavy dose of character and presence. The LR4 maintains its strong, squared jaw-line and carries the boxy design through to the safari inspired windows wrapped around the rear. It’s a vehicle that rides high while floating over the road. The combination of air suspension and its excessive weight creates a smooth ride that further enhances the sense of a luxury appointed interior. The HSE option adds several interior niceties including a heated steering wheel and third row seating, among others. It’s apparent that this is an SUV built to excel, though gas mileage is one factor detracting from the overall package. As hinted at earlier, the weight – nearly tipping the scales at three tons – dramatically hinders range. Despite a smaller supercharged V6 replacing the older V8 rumble, it’s unlikely any LR4 will pass too many gas stations before refueling. However, lest you forget this isn’t an SUV designed for hypermiling but backcountry competence. It’s not expected that off-road wonder would be lost with this model, but it may be hard to accept when presented with finely stitched leather and polished wood inserts. 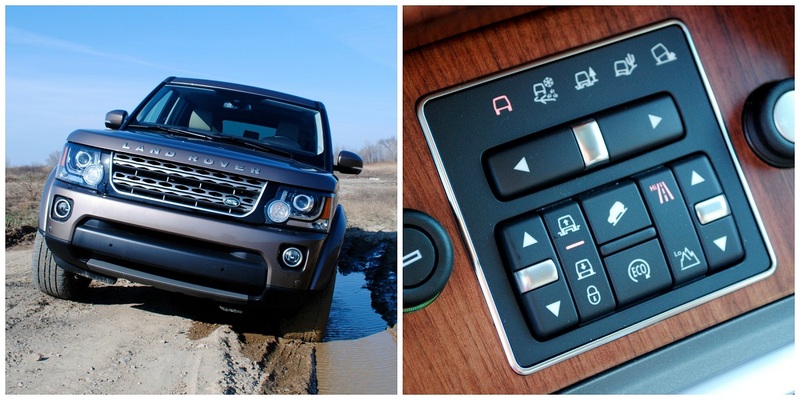 There are fairly notable performance cues seen in the Terrain Response system though. Ranging from normal driving conditions to snow, mud, and sand, it’s safe to assume that this $62K vehicle can overcome most challenges. 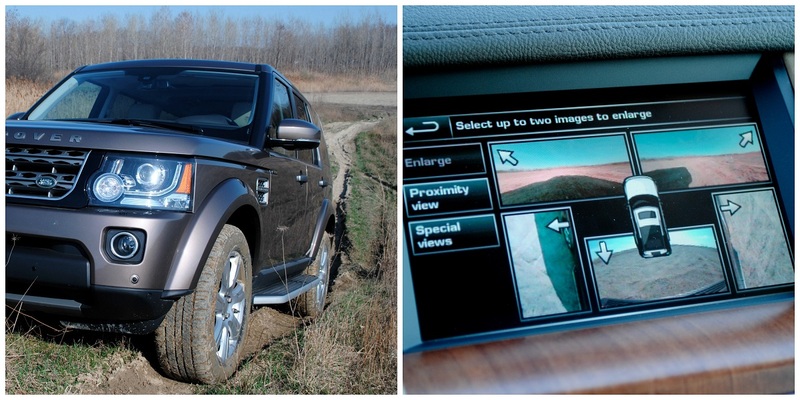 Granted, I wasn’t about to stride beyond the bounds of safe off-roading, but I intended to see what was possible. It turns out it’s a lot more than you’d expect – especially on road tires. The work week had finally come to a close allowing some wheel time in search of gentle “off-roading.” Full of empty expectations generated by a sprawling metro-Detroit, I stumbled across what appeared to be a forgotten park littered with aging pavilions and overgrown brush. Proving to be a most suitable location, largely being that it was tucked away from view, it presented a series of narrow, muddy trails and the occasional steep slope. My excitement had grown with anticipation of actually utilizing purpose built technology, albeit in a very limited fashion. Nevertheless I pushed forward. As I continued crawling from trail to trail exploring the greater reaches of the park’s design, I encountered the first steep incline. This was an ideal situation to engage the low range gearbox and mud terrain setting. Without hesitation, the Land Rover crept closer to the messy summit where it eventually perched itself proudly atop the plateau. After scanning the horizon while plotting a rough course in search of more obstacles, I continued along the same route but relied on Hill Descent Control in this downward direction. There’s something unnerving about keeping your foot off the brake while rolling toward a crest, but the systems had it sorted and carried us to level ground in a controlled manner. This was a clear reminder that Land Rover, and more specifically the LR4, is still a very thorough and capable off-roader. After a couple of hours roaming about the country-side, I drove back to town with mud caked wheel wells. Though most Land Rovers only experience the confines of parking lots and an accompanying clean image, a dirtied badge on the LR4 seemed just as natural. It looked accomplished against glass-faced buildings and jet-black SUVs. It’s fair to state that, despite the plush interior and a large departure from their original farm truck design, Land Rover is well deserving of the off-road crown. The brand, again, has bolstered unmatched levels of comfort while exceeding expectations when surrounded by rough terrain.